Astley Green Colliery exploited deep coal seams of the Manchester Coalfield underneath the peat bog (itself a source of fuel for centuries, today more than 20% of Irelands home heating is from peat) known as Chat Moss, and was driven by the high demand for coal during the late 19th and early 20th centuries and the exhaustion of supplies of coal in the Irwell Valley. Shaft sinking began in 1908 by the Pilkington Colliery Company, a subsidiary of the Clifton and Kersley Coal Company, and the pit began production in 1912. In 1928 the colliery was amalgamated with other local collieries to form Manchester Collieries. For a more detailed history of the colliery click here. The mine was modernised when the coal industry was nationalised in 1947. 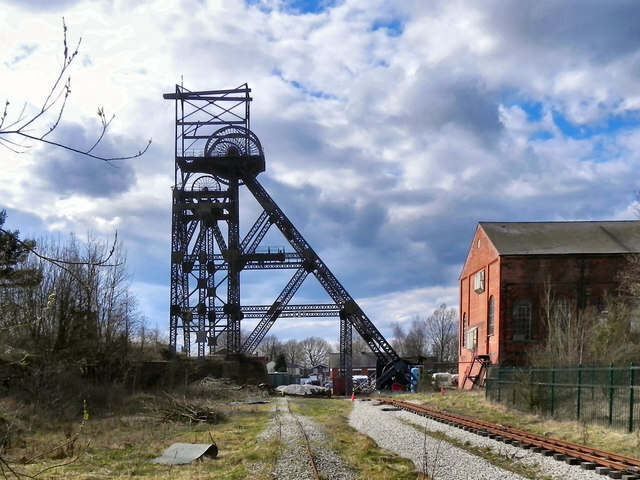 Astley Green Colliery was closed in 1970 and was subsequently opened to the public as a museum. Astley Green Colliery Museum Narrow houses the largest collection of colliery locomotives in the United Kingdom. Many of the locomotives have be donated or loaned to the museum. The existing 400 metres of line, running through the site, is currently used for freight demonstrations. The ceilings and the wood block flooring is evidence that the Lodge originally housed the offices of the pit managers. The Lodge is now used for housing a number of the smaller exhibits. These include a recreated colliery lamp room, a replica underground roadway display and a small winch engine from Agecroft Colliery. Amongst the exhibits housed in the Engine House is the largest steam winding engine ever used in the Lancashire Coalfield. Built by Messers' Yates & Thom in 1912, the twin tandem compound engine delivers 3,300 hp. The capstan engine is housed between the legs of the headgear. Built by John Wood & Sons in the 1950s, for the Agecroft Colliery in Salford, it was used for re-roping the Koepe tower winder and for shaft inspection. The drum, of the capstan engine, alone weighs 65 tons. The steel lattice headgear for Number 1 Shaft is the only colliery headgear remaining in Lancashire. The structure, which is over 100 feet 30 metres high, was built by Head Wrightson & Co. in 1912 and replaced the original wooden shaft sinking headgear. Built by Walker Brother of Wigan in 1940, the emergency winder was based at the Boothstown Mines Rescue Station throughout all of its working life. 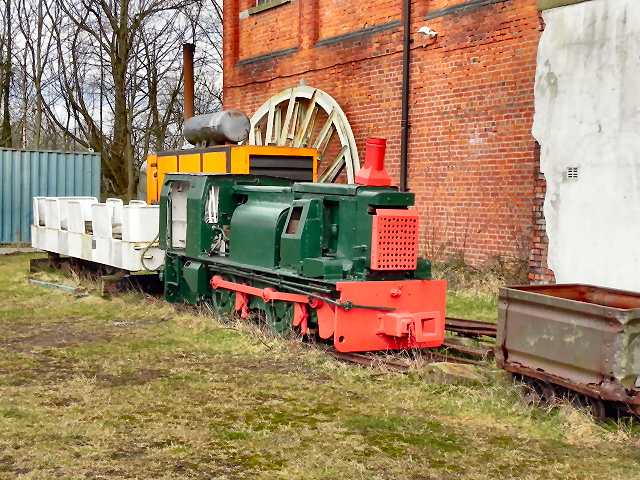 The emergency winder, which is trailer housing a winding drum and an 8 cylinder Gardner diesel engine, would be towed to collieries in the area when their main winding engine was out of commission. The Steam Line includes a vertical boiler, a vertical weir pump used to feed water to the header tanks above the boiler or directly to the boiler, if required, and single cylinder horizontal engine made by Marshall's, which drives the circular saw used to cut the wood for the boiler. A number of other restored steam engines are included in the line up. The Pit Bank was originally under a large building housing the tub track circuit where, tubs that had been brought up the shaft, headed off towards the screens. After discharging the coal, the tubs returned to the shaft. Some of the original track is still visible as are a number of tubs and a cage, from Bold Colliery. A number of exhibits, once used in the coal mining industry, are included the Static Display. The Bridgewater Canal was an important part of the colliery providing a means of transporting coal to a number of destinations including Barton Power Station using barges. The barges were loaded at the wharf side using steam cranes. Most of the site is wheelchair accessible. Special tours can be arranged (including outside of opening hours). Location : Higher Green Lane, Astley Green, Tyldesley, Wigan M29 7JB. Transport: Walkden (Northern Rail). Bus routes 551, 693, and 694 stop outside.